The Army's Aircrew Survival Armor Recovery Vest, Insert, and Packets (SARVIP) is a three part system: survival vest, armor insert with carrier, and survival, signal and communication components. SARVIP also accommodates the AN/PRC-90 or AN/PRC-112 radio set and the LPU-10/P life preserver. 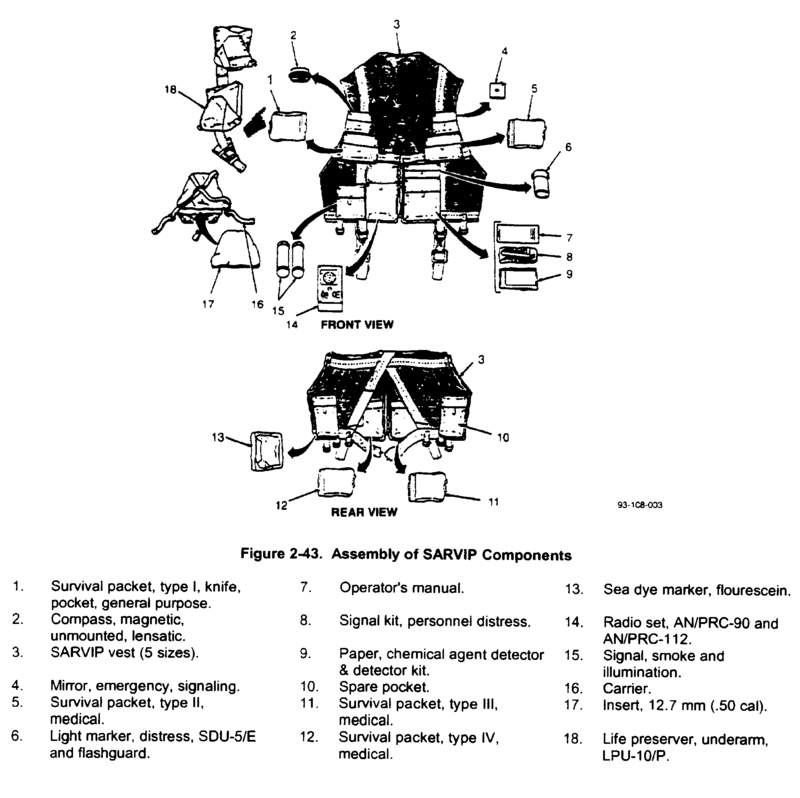 The SARVIP vest, packets, and other survival, signal and communication components replace the SRU-21/P vest. The SARVIP insert and carrier replace the .30 caliber aircrew body armor.